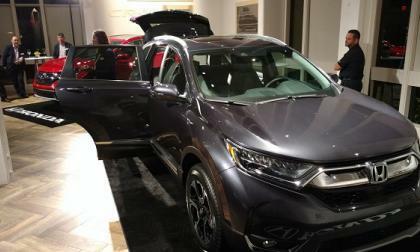 With an 8.8 out of a possible “10” score, U.S. News and World Report ranked 2017 Honda CR-V #1 overall value in the white hot compact SUV segment for 2017. 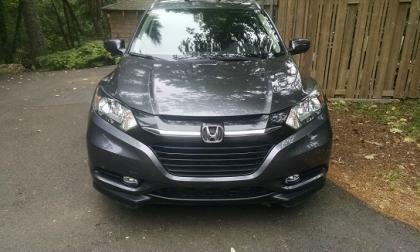 How’d Honda do it? According to auto industry bellwether U.S.News and World Report, in reviewing proprietary data, and all viable auto journalist drive reviews, 2017 Acura MDX rates ‘Best 3-Row Luxury SUV for the money,” five years running. 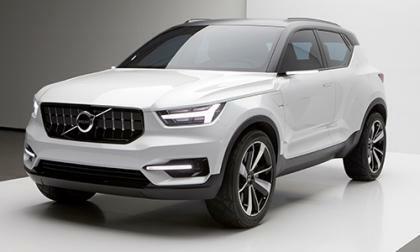 As Volvo finishes up on launching the 90 series around the world, their attention turns to another group of vehicles. 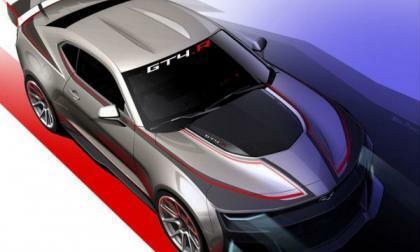 General Motors has rolled out their newest Chevrolet Camaro endurance race car based on the 6th generation ZL1 for a handful of road racing championships in the US and around the world – all with LT1 power. The newly-refreshed 2018 Subaru Legacy breaks cover in Chicago. 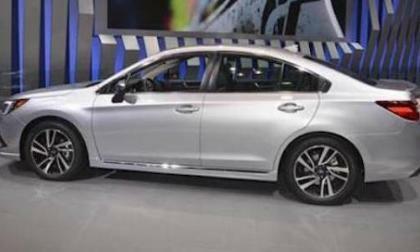 What’s new on the family sedan? 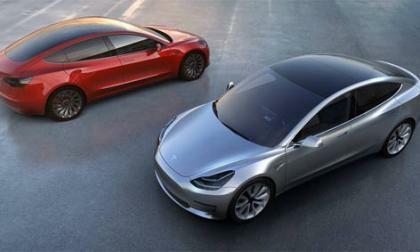 Tesla are gearing up for production of the upcoming Model 3, with high tensions in order for assembly lines and workers. 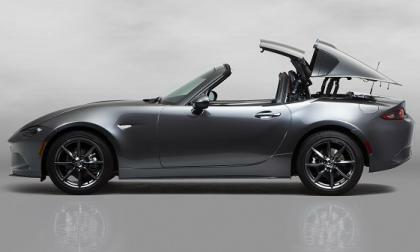 One expert on classic cars says a future classic is for sale right now at Mazda RF and Fiat dealerships. 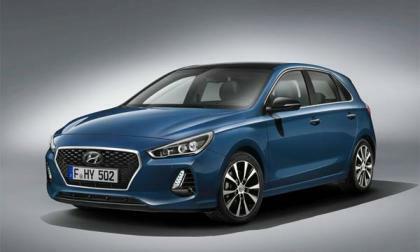 Hyundai have recently unveiled the latest version of their Elantra GT and show they haven't given up on hatchbacks. 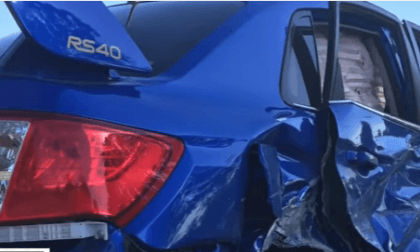 An out-of-control Nissan hits a Subaru WRX RS40 head-on. Watch as a dashcam catches the iconic limited edition WRX getting destroyed. Volkswagen uses LEGO(R) bricks to show the fun vehicles of the past and their interaction with their owners. 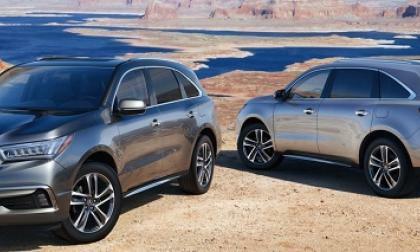 Then, using the bricks again, the automakers shows where customers can go to find something stronger. That headline took me several attempts to land on. Archimoto’s founder Mark Frohnmayer’s unique take on electrified personal transportation, may look simple enough. But once behind the handlebars, my imagination took over as to the “what if” of this equation. 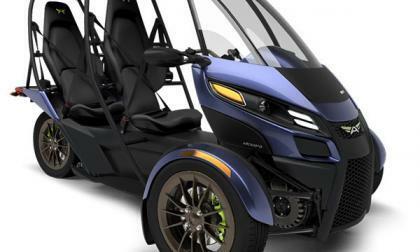 Arcimoto SRK Trike brings motorcycle inspired adventure to the EV segment. 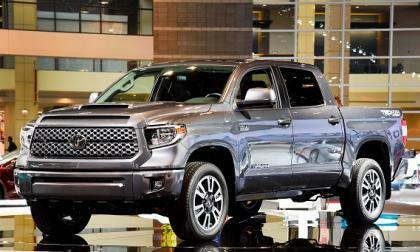 Toyota's new 2018 Tundra TRD Sport will have equipment as well as appearance upgrades. 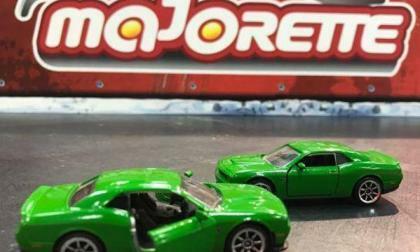 Those Dodge Challenger SRT Hellcat fans who have spent the past few years collecting the miniature versions of America’s most powerful muscle car will soon have a new item to hunt, as Majorette is launching a pair of new Hellcat toy cars – one in all green and one in green with black "racing" trim. 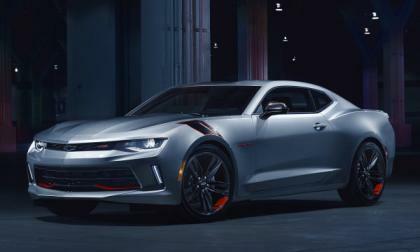 Chevrolet announced this morning that the new Camaro Redline special edition series will be available sometime during 2017 and making this the most widely-offered package in the company lineup – there will also be a Redline edition version of 7 other cars, trucks and SUVs. 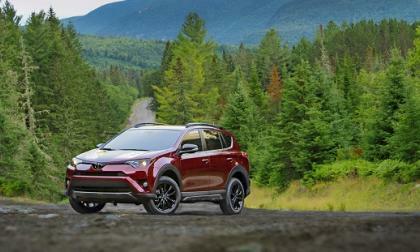 Toyota's new RAV4 Adventure will go where no RAV4 has before. 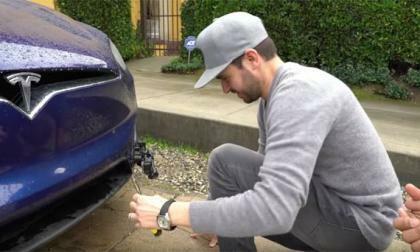 Tesla's 'Frunk' Can Be Opened Without A key: Is It A Massive Security Flaw? Tesla's front trunk, known as the 'Frunk' can be accessed without a key and latest videos and social media news say this could be a potential security problem, but is it? 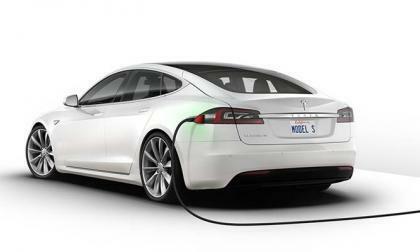 Read more about Tesla's 'Frunk' Can Be Opened Without A key: Is It A Massive Security Flaw? 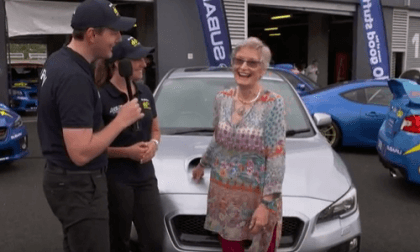 This 70 year-old gets the ultimate birthday gift; A hot lap in a Subaru WRX STI [Video]. 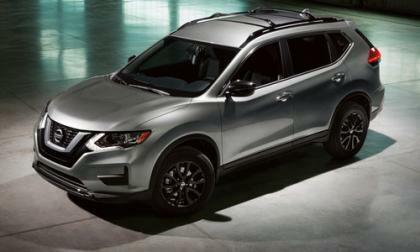 Nissan is launching a new 2017 Nissan Rogue Midnight Edition in March. What sets this crossover apart? 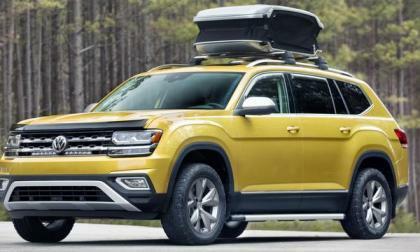 When the Chicago Auto Show opens one of the concept vehicles that will appear could make it to market, the VW Weekender. The Weekender tips its cap to the iconic Vanagon and Eurovan models of three decades ago when conversion vans were insanely popular. 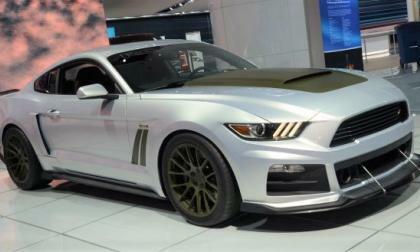 Though not in the lineup just yet, pressure from the public may just turn this concept into reality. 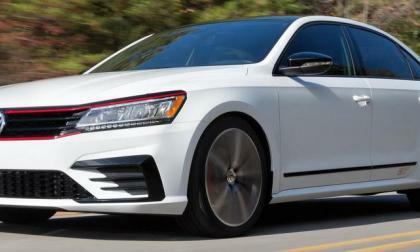 By the way, it is honestly more than a concept as all of the parts are available from VW and the automaker can make it happen if the demand is there. Volkswagen has created a new subsidiary that has been tasked with directing the $2 billion zero emissions vehicle infrastructure development program that was mandated by the diesel emissions class-action settlement. 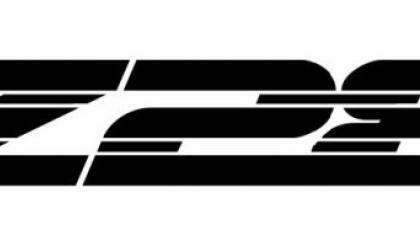 When the new Chevrolet Camaro Z/28 failed to make an appearance at the 2017 Detroit Auto Show, GM performance fans looked to Chicago as the next possible location – and tomorrow is the day that we will find out if the new Z/28 will debut in the Windy City. 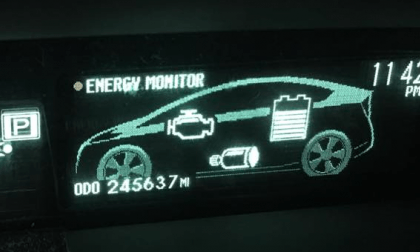 Can A Toyota Prius Battery Last 250,000 miles? Have you ever wondered how long a Toyota Prius battery will last? We can help. Read more about Can A Toyota Prius Battery Last 250,000 miles? The Tesla Model S is now the fastest production car in existence, having hit a 0-60mph time of 2.28-seconds in Ludicrous mode. 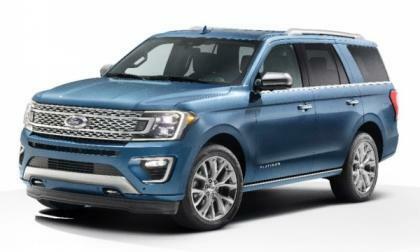 KBB Says Subaru Vehicles Depreciate Less than Any Car Brand in America; What Other Category is Subaru the Best? 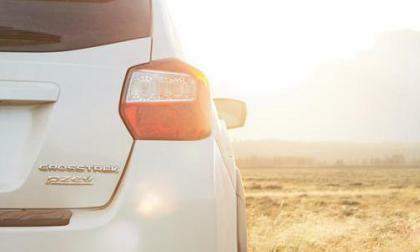 Kelly Blue Book says Subaru vehicles depreciate less than any car brand in America. What other category is Subaru the best? Read more about KBB Says Subaru Vehicles Depreciate Less than Any Car Brand in America; What Other Category is Subaru the Best? 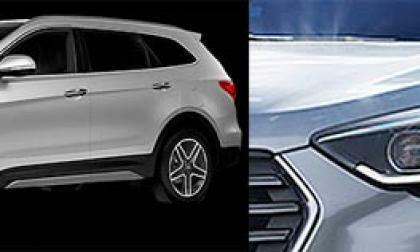 The 2017 Santa Fe CUV is back with a cleaner design and a model that should fit any family scenario. 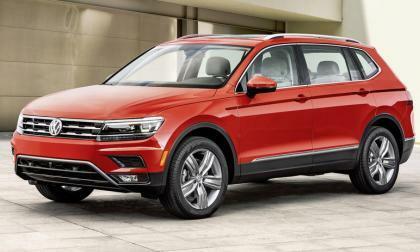 Volkswagen is continuing a sales turnaround that began last year. The automaker is recovering from the Dieselgate scandal and has seen month-to-month and year-to-year sales increases consistently. The CLA is the affordable Mercedes, but it is a value? Mercedes released the CLA class in 2014 with the promise of bringing Mercedes prestige within reach of everyday consumers, now three years later with plenty of time in consumer hands there is a good amount of verified owner feedback on the CLA. I reviewed consumer posts of their CLAs compare with a similarly priced if less flashy competitor and come up with a verdict. 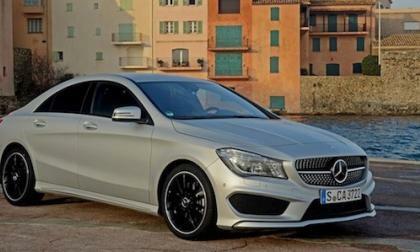 Read more about The CLA is the affordable Mercedes, but it is a value?